Young Collectors is based in Miel (near Bonn, Germany) and brings contemporary fresh and affordable artworks from renowned artists to new audiences. 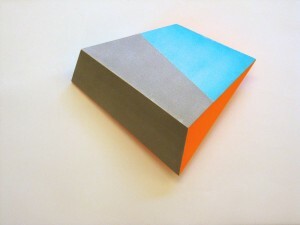 The works are often made in small series. The newest series, on display at IS-projects, consists of works by Henriëtte van ’t Hoog (The Netherlands), Noel Ivanov (New Zealand), Sakir Gökcebag (Turkey) and Léopoldine Roux (France). In addition, works by Dieter Balzer, Gereon Krebber, Gisela Hoffmann, Frank Piasta, Martijn Schuppers and others are shown. Henriëtte van ’t Hoog presents Wedge (multiple) I.